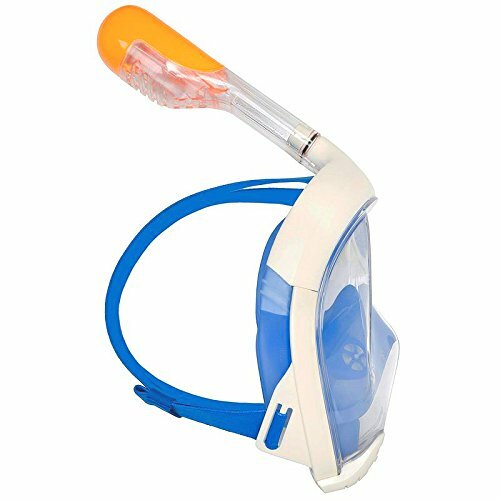 This full face snorkeling mask is an essential item to have at the beach as it fits entirely over the head and allows you to breathe normally through both nose and mouth while being in the water. Therefore you don’t have to worry about breathing through a tube while underwater. The full face snorkeling mask also provides a 180-degree field of vision. This makes sure you will see more fish and sea creatures than with standard snorkels. 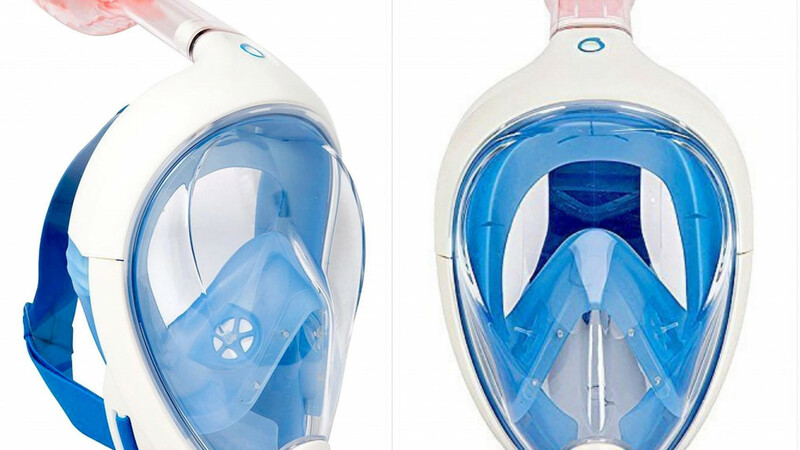 To prevent water from getting into the snorkel, the mask and into the human lungs, the full face snorkeling mask has a component which plugs the top end of the snorkel when it's immersed in water. To stop the mask from fogging, there is a separate breathing chamber, creating an airflow away from the main viewing area. As this snorkeling mask stops salt water from getting into your mouth, you can spend less time worrying about water in your mask and more time snorkeling. With this, the full face mask has a definitive advantage over standard snorkels, while having the same depth restrictions as them. With this mask, you can snorkel for longer and in total comfort. This item is also a favorite with kids and young people who are learning to snorkel. Your kids are sure to think it’s so cool to be able to swim with their head in the water and breathe underwater at the same time. This will also help them learn about sea creatures and underwater life, broadening their horizon.